Our Eggnog and Gingerbread spiced Meringue Cookies are made even more eye-catching with some edible gold and silver stars! Our delicious Eggnog Meringue Cookies are a true holiday delight featuring the rich flavors of the Christmas-time favorite spiced Eggnog! 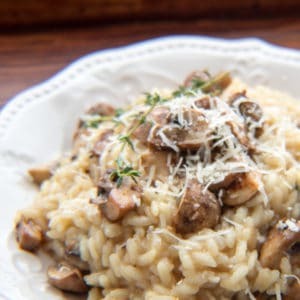 We are very happy to share this easy recipe this year, just in time for the holidays, and as part of the community event ‘Spice It Up!’ Food Advent Calendar (read more about the food blogger community event here). We love making these cookies, and always have to incorporate our favorite spice, nutmeg! 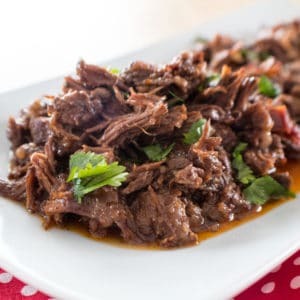 Always fabulous, but even more amazing when freshly grated right into whatever you are making (we love nutmeg in everything from sweets like our dutch baby pancakes, preacher cake, peanut butter banana cookies and eggnog sugar cookies to savory like our leftover prime rib hash and honey garlic pork chops). These dainty cookies are an eye catching part of a Christmas cookie display, too! 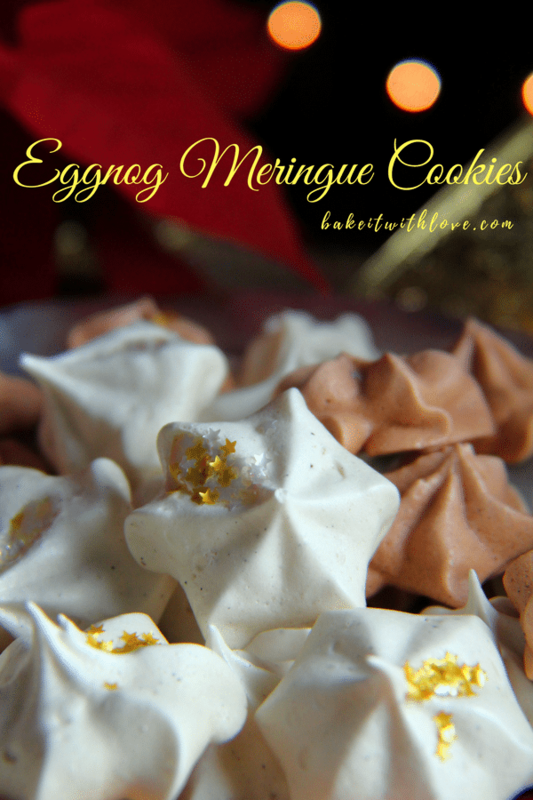 Like many of you, we love to have quite an assortment of Christmas cookies to share with friends and family…and whether you make these meringue cookies with eggnog or our gingerbread spice, they are always a hit! Enjoy! A delightfully spiced holiday treat, with just the right amount of eggnog (or gingerbread) flavors! Preheat your oven to 200 degrees F (93 degrees C) - or as low as your oven can go, I know some ovens can only go down to 250 degrees F. Line your baking sheets with parchment paper and move your oven racks to the bottom racks in your oven. Separate your egg whites from your room temperature eggs (if they are not room temp, place your eggs in a glass or bowl of warm tap water for about 5-10 minutes). Be sure when you separate the egg whites that the whites go into a clean, dry bowl. Any water or residue will affect how well your egg whites stiffen into soft peaks. Place your egg whites into the bowl of your stand mixer, add salt and cream of tartar and use the whisk attachment at medium speed until soft peaks are formed (about 1-2 minutes). Add the sugar to the egg whites slowly incorporating it into the meringue (you can process your sugar in food processor by pulsing a few times to make super fine sugar so that all of the sugar melts easily). 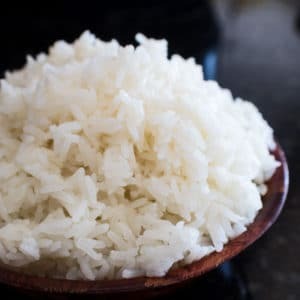 Once all of the sugar is added and well combined, test the consistency by rubbing between your finger tips to enure that all of the sugar has melted. Add eggnog and vanilla paste (or extract) and freshly grated nutmeg. Continue to mix on high speed until stiff peaks are formed, and your meringue is smooth and glossy. Use a piping bag with a large star piping tip, or a ziploc baggie (with the corner cut off) and pipe the meringue onto your parchment paper lined baking sheets. Leave about 1/2" between each 1-1 1/2" sized meringue star. Place baking sheets into the oven on the lower racks, and bake at 200 degrees F (93 degrees C) for 1 hour 15 minutes. 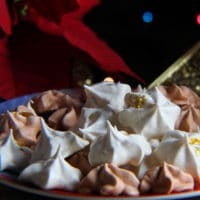 If you need to use a higher baking temperature, reduce the baking time until the outside of the meringues are dry but not changing color, or browning at the bottoms. When the meringues are dry to the touch, turn off your oven and allow them to cool completely in the oven and preferably overnight. **To make the 'Gingerbread' meringue cookies shown in the photos with our white eggnog meringue cookies: Follow all instructions but increase the vanilla paste (or extract) to 1 tsp and substitute 1 tsp of our Homemade German Gingerbread Spice Blend (Lebkuchengewurz) for the 1/4 tsp of nutmeg. Be sure to visit our friends and see what they baked up with their Christmas-time spice of choice for the ‘Spice It Up!’ Food Advent Calendar!! Angela–these are so pretty and festive looking. Good job! Aw, thank you so much! We really are true meringue fans in the household, I’m really amazed I don’t already have dozens of varieties shared!! I am a big fan of meringue, so thank you so much for sharing this with the food advent calendar!